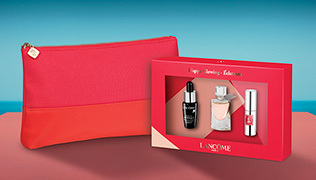 Let these unforgettable fragrances by Lancôme embody your inner joie de vivre and inspire you to live life to the full. Finding the perfect base has just become easier thanks to Lancôme's fool-proof Complexion Consultation. Think of us as your personal complexion companion as we guide you through the pit-falls to reveal your ideal match. Using our personalized recommendations, a flawless complexion can be achieved effortlessly.